I'm having an issue w/ a Content Editor Web Part. I would like to add an HTML table that gives users the ability to add and remove rows from a table. How should I add the following code to the CEW? Does it support this type of thing? You can create HTML file, paste the code in answer into the HTML file, upload the HTML file to document library or site asset. 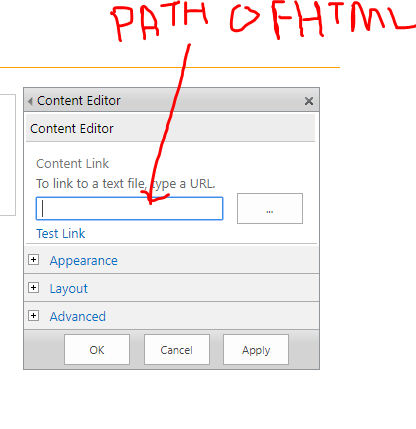 Copy the path of the HTML file. Click on OK and save the page. This will definitely work.